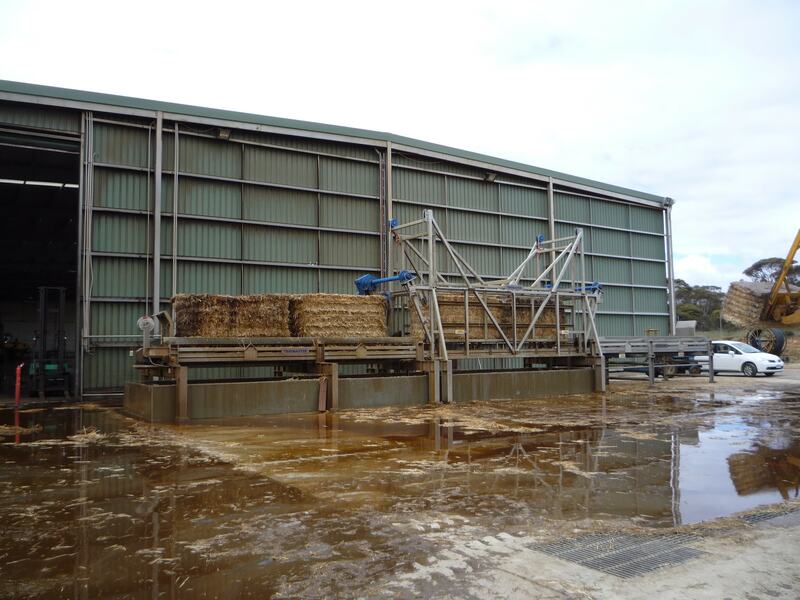 Material preparation requires a the bales to have a consistent pre wet, these machines provide several alternatives methods to achieve this. Bale wetting boom with automatic travel. Designed to complement the wetting of bales positioned for breaking by one of our Pre Wet Heap Turners. Wets bales up to 6 wide and automatically reverses at each of the bales. 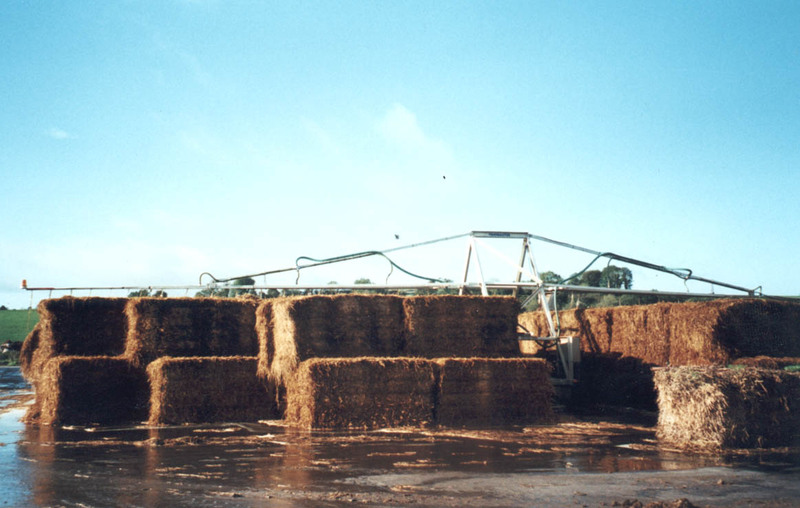 A Traymaster Compost Turner arranged to break pre wet bales. Equipped with a bale knock back spinner to stop lumps passing through the machine. 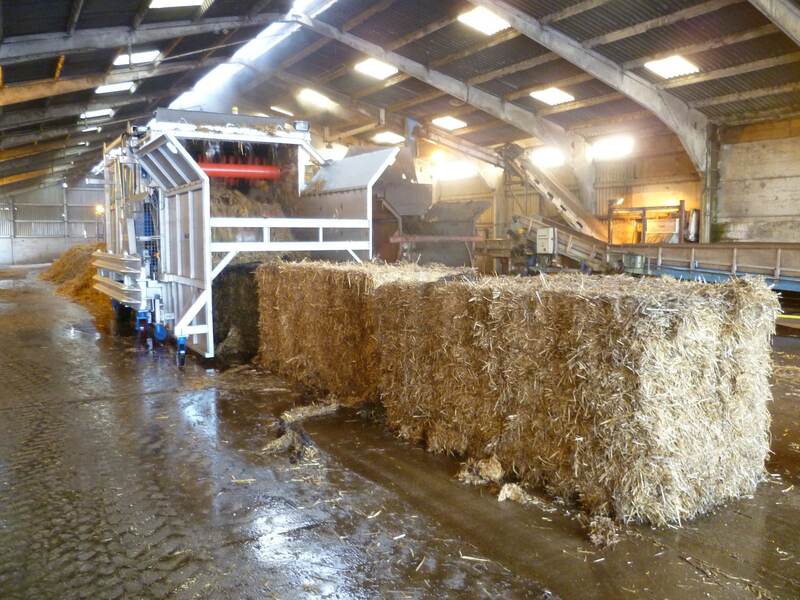 And clearances increased to handle the volume of straw produces by breaking fresh pre wet bales. 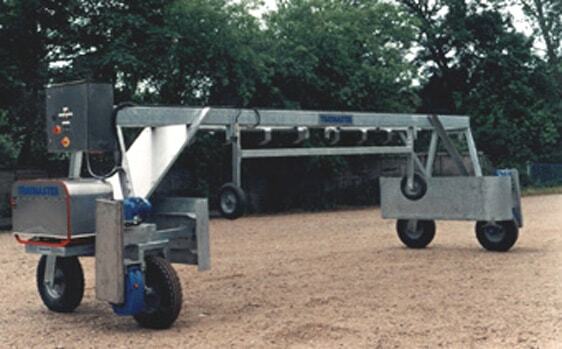 Mobile watering booms of various types that can wet bales in stacks of different quantities.